The future is here now, with a lithium-ion battery factory being constructed in the deserts of Nevada. This is an electric revolution which is like a dream come true for Elon Musk. This creation of electric cars is much needed and Gigfaactory is worth the hype it has received in the recent years. The true name of this factory is Tesla Gigafactory, it is a $5 billion factory of stupendous proportions. This is going to be the largest building in the world after its completion in 2020. Under construction in an area of 5.8 million square feet, the entire concept blows me away every time I read about it. Musk has already unveiled a Tesla Model 3 car costing around $35,000 and it received more than 325,000 pre-orders already. The car is yet to be out for sale but the demand of the customers has raised the pressure amongst the producers and they are currently hoping to produce half a million cars per year. These cars use electric batteries which are charged by various charging stations developed by Tesla. However, Tesla is also up for producing electric trucks and buses too. During the unveiling of the product, Elon was asked questions such as how will they manage to produce batteries as per the demand? Well, this is the time when the Gigafactory will help. This factory has the power to double the world’s production of lithium ion batteries. These batteries would produce 35GWh of power which would probably be higher as 150GWh. Musk also revealed that they are planning to construct these Gigafactories in countries between Europe to China. This is an automotive revolution and is going to make Tesla a worldwide phenomenon. Currently, only 20 percent of the Gigafactory is accomplished with parts such as the building site and assembling section ready for use. The entire setup will be 100 percent sustainable as it would be running on solar power, thus making it environment-friendly. 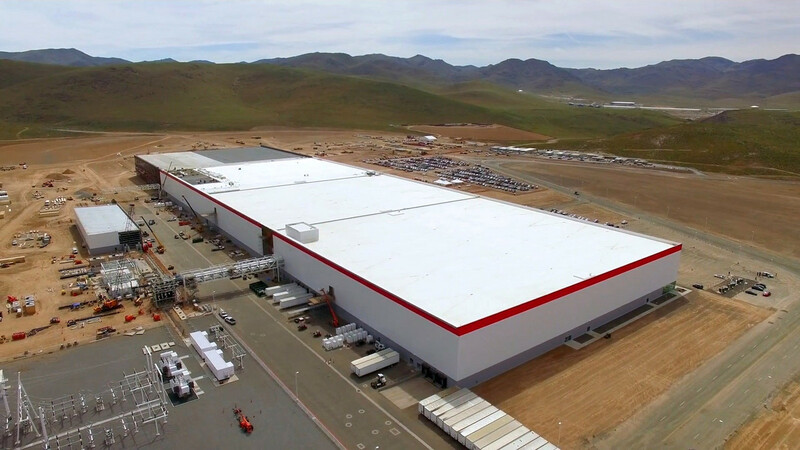 The Gigafactory has more than 1000 people working round the clock to make the project a success. The very first battery from the factory is expected to be out by next year. This place is going to be a revolution for the future where most of the work is done by autonomous machines and humans just keep an eye on the happenings and check whether the machines are responding well or not. You will be delighted to hear that the Gigafactory is already two years ahead of its schedule and is going to start making serious money very soon. The project was started back in 2014 and has been swift till now. The car industry needs to be shaken up and start some serious actions to make their product as eco-friendly as Elon’s electric cars.